The state of Maryland and the Chesapeake Bay are intimately linked. Maryland’s earliest settlements occurred on the banks of the Chesapeake. Maryland wraps around the Bay, creating the distinctive eastern and western shore regions. And, the state capital, Annapolis, is located on the shores of the Chesapeake. There are lots of things to do and see for people who live in and visit Maryland’s Chesapeake Bay region. Follow the links below for more information on destinations within the Chesapeake Bay area. Annapolis: Maryland’s State Capital and the home of the US Naval Academy. Baltimore: Charm City on the Chesapeake Bay. The Inner Harbor area is alive with activity. Cambridge: On the banks of the Choptank River and home of the Hyatt Regency Chesapeake Bay. Chesapeake Beach: Wide open access to the Bay, great fishing, and a sandy beach. Chesapeake City: At the C&D Canal, a popular stop for cruising boaters. Chestertown: Historic town on the Chester River. Crisfield: Crisfield has a huge marina and is home of the annual Crab Derby and many other festival events. Deal Island: Annual Deal Island Skipjack Races. Deale: Fishing and fishing charters are a big part of the lifestyle here. Easton: Lovely town. Home of the Avalon theatre and host of the annual waterfowl festival. Havre de Grace: “Harbor of Grace.” Home of the Concord Point Lighthouse and a world class decoy museum. Kent Island: Great selection of marinas and seafood restaurants. On the western side of the Chesapeake Bay Bridge. North Beach: Southern Maryland town on the Western shore of the Chesapeake Bay. Located right on the Bay, with beautiful views. 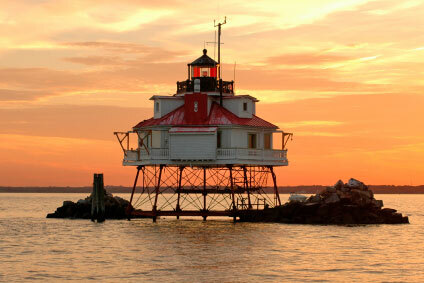 North East: Located at the head of the Chesapeake Bay, on the Northeast River. Oxford: Historic small town on the Tred Avon River. You can get there by ferry or by road. Rock Hall: Cruising destination with marinas, shops, and eateries. Solomons Island: Western Shore town. Home of the Calvert Marine Museum. St. Michaels: B&B’s, restaurants, boutiques, and the Chesapeake Bay Maritime Museum. Tilghman Island: Visit the Chesapeake Bay skipjack fleet at Dogwood Harbor.